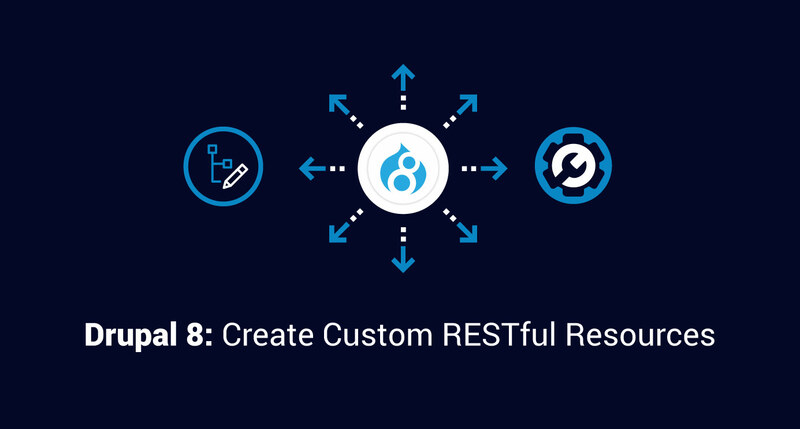 The RESTful Web Services API is new in Drupal 8. Expose entities as RESTful resources either to build a decoupled Drupal site, to let a native mobile iOS/Android app talk consume/feed a Drupal site, or to integrate with some web service which is amazing! In some use cases, these default REST resources are not sufficient to fulfill the requirements. In this situation, we have to write a custom REST resource. Let’s examine how we can develop this. Before proceeding further, first let’s see a use case where the user has to write a custom REST resource. If a user wants to submit a file along with some metadata using a single webservice call currently it is not possible with the default REST resources. Now, let’s build our own REST resource for the above use case. test_resource.services.yml - Routing event subscriber. It is good practice to use a CSRF token with REST request. Here, at the event subscriber class for routing, we are setting CSRF token as a requirement. * Add a CSRF-Token as requirement. * Process Resource REST request. * Allow access for logged-in, authenticated users. * Run access checks for this account. * Return true or false on the basis of criteria specified. // Validate the request data. // Here your business logic goes. * Validate the POST data. // Material Id is mandatory. That's it! We hope you found this post helpful. If you have any questions, do share them with us in the comments below. After logging off, he continues his day as a detail-oriented electronics geek, dedicated Netflix fanatic, and avid tennis player.